There has been much confusion in Britain about who composed the music score for Watership Down. Reader’s Digest published an article, the week of the film’s opening, describing how Malcolm Williamson composed the score. 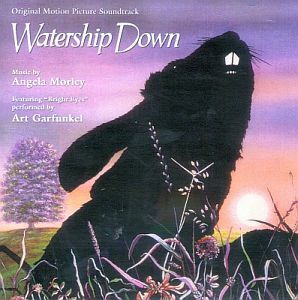 A friend recently told me that someone had posted online the advice that the Watership Down score had been composed by Art Garfunkel and ‘rearranged’ by Angela Morley and Malcolm Williamson! This music was composed thirty years ago, and it’s high time for me to try to set the matter straight with an account of my experience composing most of the music for Watership Down. My part in the Watership Down musical adventure began with a phone call on a Thursday evening in early October, 1977. My caller was the celebrated conductor Marcus Dods. He asked: Are you busy? I told him no, and that I was free all the following day, Friday and Saturday, but that I had a commitment on Sunday. I asked what it was about. He said: They’re making an animated film of that book, Watership Down, and they’ve commissioned Malcolm Williamson to write the score. He has been given several weeks to do it in, several weeks that will expire this coming weekend, and we have a large orchestra booked into CTS studios, Wembley on Monday, Tuesday and Wednesday. I have been retained to conduct the music and I have been trying to get my hands on some scores to prepare them for Monday. The problem is that I’ve just found out that there aren’t any scores! All Malcolm had been able to write was a sketch lasting six minutes. Malcolm Williamson was born in Australia in 1931. He came to England in 1953 to study with Elisabeth Lutyens and remained to become one of England’s most celebrated and respected composers. He was prolific in every field of musical endeavour; he composed, among other works, 7 symphonies, 4 piano concertos, much chamber music, organ music and 3 operas. In addition, in 1975, he succeeded Sir Arthur Bliss as the Master of the Queen’s Music. Failing to understand how such a respected composer had been unable to complete the commission on time, I asked Marcus to explain. 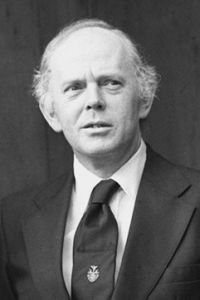 He told me that, under the stress of his commitments as Master of the Queen’s Music in this 1977, the 25th anniversary of the Queen’s accession to the throne on the death of her father George VI in 1952, and of trying to compose a new symphony that was to be premièred in the Queen’s presence as well as composing the score for Watership Down, the poor fellow’s health had completely broken down. All of this I learned from Marcus that evening, and I said that I was sorry to hear of Malcolm’s ill health and that I would do everything I could to help. Marcus asked me if I would be able to meet him and Malcolm the following day for lunch and hopefully take possession of Malcolm’s sketch. He told me that he’d call me the following morning with the time and place of the meeting. Next morning he told me to forget the whole thing; apparently Malcolm was too ill to meet! Later in the day, he asked me if I could come to a meeting Saturday morning at the Watership Down office near Warren Street tube station (such an appropriate location for a film about rabbits!) Since I was fast running out of orchestrating time I decided to try and persuade the highly respected orchestrator Larry Ashmore to be present at the meeting. This took place, and a friend of Malcolm’s, Simon, brought us Malcolm’s sketch. It was, in fact, two sketches. The first one, lasting about four minutes, was the background to Michael Horden’s (as Raa, the God of the Rabbit species) dramatic prologue of how he, as Raa, had endowed the Rabbits with the physical attributes necessary to defend themselves from their predators. The second sketch, lasting about two minutes, was the main title music, a very beautiful piece mainly for woodwind and strings in 7/8 time, if my memory is correct, that exuded the pastoral charm of the rolling downs of southern England. Since I had just about run out of free time, Larry took the longer four-minute piece and I the two-minute main title. It wasn’t until the recording session that I realized how lucky I had been to get the shorter and simpler of the two sketches. Film composers write two kinds of sketches: those that they write for orchestrators to work from which contain a lot of instrumentation information, and those that they intend to orchestrate themselves. Malcolm, who was much more of a classical composer than a film composer, fully intended to orchestrate this sketch himself! He knew how he intended to orchestrate the prologue and had only put in the sketch the barest information that he would require. Larry did a heroic and masterly job with the sketch of the Prologue, which seems endless and so devoid of helpful orchestration information. The scores realized from Malcolm’s sketches were recorded at CTS Studios on the following Tuesday afternoon. I have no idea what happened to the orchestra and studio bookings on Monday and Wednesday; perhaps another film needed both studio and orchestra! As soon as the Tuesday afternoon music was ‘in the can’, Marcus brought the film’s American producer, Martin Rosen, over to see me in the recording booth. Martin told me that Malcolm would not be able to continue composing the Watership Down score and would I please take over the assignment as quickly as possible. I was not too keen on the idea, simply because I was so unprepared: I hadn’t even read the book. Martin and his editor, Terry Rawlings, asked me to let them show me the film the following afternoon. I enjoyed it very much and warmed a little to the idea. They took me to a little restaurant in Cricklewood after the showing and I knew that I was expected to come to a decision. I finally said that I would take it over from Malcolm, although I had many misgivings. I went home and decided that I simply had to prove to myself that I could compose something before I went to bed, so I composed a one-minute cue for flute and harp, which I called ‘Venturing Forth’. 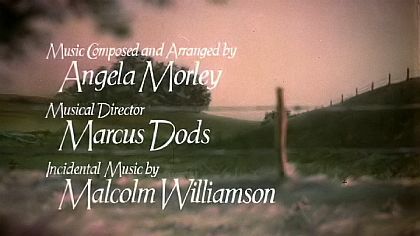 The immediate task was to compose the score for about the first half of the film; that is to say, pick up the music right after the end of Malcolm Williamson’s main title music that had been recorded on the previous Tuesday afternoon. I was told that Penguin Books, who were apparently financially backing the film, wanted to review the progress of the production in three weeks’ time and I was asked to compose and record as much music as possible by that time. I did indeed manage to get quite a lot done, but then wasn’t able to get my hands on the film for about three weeks. For the last three weeks I’d been hoping to have an easier time of it. Now that they’d taken the film from me completely, I was dying to have it back again. So I went to work composing themes for characters and situations that appear later in the film: General Woundwort, Kehaar, Efrafa and the fight music. The score so far was built on gentle English pastoral melodies and harmonies played by concert, alto, bass flutes and cor anglais with French horns and harp and strings. We now have a foreign visitor from over the ‘big water’. This was Kehaar the seagull, voiced by Zero Mostel with a Germanic accent (‘beeg vater’!) I put aside my English pastoral instrumental vocabulary in favour of a Belgian invention, the alto saxophone, and composed for it a Viennese novelty waltz. After that, in the film, we encounter a dreadful place called Efrafa, with its brutal dictator General Woundwort. This is a place controlled by threat and fear rather than overt brutality. Moving on in the story we come to the terrible wounds and near-death of Hazel. Kehaar picks the slugs out of the wounds with his beak. 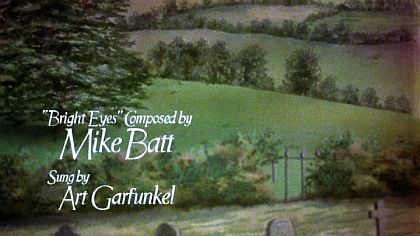 During this terrible experience of Hazel’s, there is the introduction into the score of Mike Batt’s inspired song ‘Bright Eyes’, sung by Art Garfunkel. Martin Rosen asked me to compose an orchestral interlude to be inserted after the first chorus of the song that would lead back to the re-entry of the voice singing the last half chorus of the song. This had the effect of lengthening and heightening the drama of Hazel’s near death experience. For this, I used a theme that ran all through the film that I called ‘The Quest’, which expressed the determination of Hazel and his friends to find a new home. We now enter the ‘final struggle’ phase of the film. Battles between armies of rabbits pose a problem for composers, or a least this one with the time I had available. Let’s face it, rabbits can only bite and scratch and kick! If one really wrote biting and scratching music, it wouldn’t express the brutal drama of a fight for survival as a climax to the film. I decided to suspend reality and pretend that I was dealing with hippos and crocodiles. Finding ourselves at the end of the film, the rabbits are in their new home adding new generations in a peaceful setting. There was one more thing to do, however, and that was to turn our attention to the sound track album. It is quite usual for sections of the music in a film to have no neat endings. Before the album can be put together, there is often a recording session to record these endings to be dubbed on to the cues to make them sound ‘finished.’ Kehaar’s theme had to be expanded from a 30 second cue, where Kehaar tries out his healed wings for the first time, to a 3 minute performable piece, which was great fun to do! This completed my assignment as Malcolm’s replacement to compose the score. The music editor had one further thing to do to complete his job; that was to write out the official cue-sheet. This is the document that has to be completed at the end of all films; it is a sort of legal chart that has to go mainly to The Performing Right Society (or PRS) giving the title, duration, composer, orchestrator and publisher of each piece of music; even a cue lasting one second has to have its place in this document. 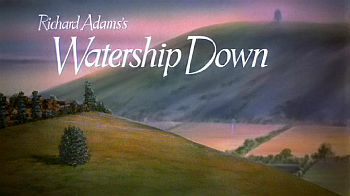 The cue-sheet of Watership Down was of particular interest because three different composers had to share the copyright. Martin Rosen, the director and producer, went off to America to talk to the distributors. Soon after his departure, I received a phone call from someone at the publishers, April Music, to tell me that he was going to remove all my music and that of Malcolm Williamson from the sound track album. I couldn’t believe it! I asked him what he was going to replace it with, after all the only music to be left on the album was the song ‘Bright Eyes’; how was he going to fill up the remaining 57 minute void? He said that he’d fill it up with songs. I argued that, apart from ‘Bright Eyes’, they would have nothing to do with the film! He said that they would be songs ‘inspired’ by the film. I couldn’t wait for Martin Rosen to get back from California to tell him what had happened! When he did get back and heard my tale of woe, he smiled and told me not to worry and that he would get all my music put back. I looked at him in amazement and asked him if he could really do that. He said yes, it’s in my contract! During Martin’s trip to the USA, he had made a decision that a three-and-a-half minute segment of the film should be cut out because it seemed to slow the pace of the film. This involved the telling of rabbit legend about a certain king Darzin and his lettuces. Unfortunately, this scene had continuous music, so my musical contribution to the film was shortened from around fifty-five minutes to fifty-one and a half.